Below, twelve members of the 2017 Newport Cup squad will write thorough, in-depth reviews of Talamore and Mid South Golf Club and the lodging, complete with photos, an occasional video, and a wealth of opinion and information. They're encouraged to be as honest as possible. We'd like to thank the sponsors for the gear, apparel, equipment, and goodies, and we chose them largely because they produce quality products, but they know we value honesty and integrity in reviews as well. The Red Team was in a 3-bedroom, 3-bathroom villa at the Talamore resort. For a golfing weekend with the boys, so to speak, it was great. It housed the 6 of us comfortably. Having 3 bathrooms was key for that – no issues getting ready or showering after a long day of golf. Each bedroom had its own TV, in case you wanted some time to yourself to watch whatever you wanted. Although we didn’t use it, the villa had a full kitchen with all of the trappings if you wanted to make food instead of going out to eat. The fridge worked just fine to keep our beers cold. It also had a full dining room and dining room table, which was wasted on us. The living room was great for hanging out after a long day of golf, watching sports and relaxing on the couch. The only negative was that our villa was a bit worn. I noticed some scuff marks on the walls, and some of the furniture had seen better days. But these are minor complaints for a villa that comfortably slept 6 people and was within walking distance to the Talamore course. Another positive was the pig roast Talamore had on Thursday night – you could get basically as much BBQ as you wanted, and it was pretty good. We had breakfast included with our stay, and it was a good continental breakfast during the week and added hot dishes on the weekend. Exactly what I wanted before playing 36 holes of golf. The location was also great for staying in Pinehurst. There had to be at least 15 courses with 15 minutes. The Pinehurst resort itself was about 10 minutes away. Bottom line, I would absolutely come back and stay here with a group of golfers again. I really liked this course, and it looks like the redesign was a really good idea and smartly done. The course weaved through the Pinehurst sandhills and among the trees. The setting was great. Conditioning was also great. I know a few people had some problems with the sand in the bunkers, but it didn't bother me at all. I normally am not a huge fan of tree-lined courses (my ball has a way of ending up in the trees far too often), but the fairways were wide enough on the course that I didn’t spend too much time in the trees. The trees were also sparse enough that you could generally recover from them with a shot towards the green pretty easily. Before I go through and highlight a few holes from the course that I really liked, there are a few negatives on the course, which was ultimately why I enjoyed Mid-South more. First, a lot of the holes called for a specific shape off the tee. On a few holes, if you didn’t have that specific shape, it seemed like a better decision to hit less than driver and just try to place your tee ball at the start of the dog leg. A few too many holes like this for my taste. There were also some odd holes. The first hole was a 600-yard par 5 where the smart play for anyone that can drive the ball over 250 yards was 3 wood off the tee, 3 wood off the deck, and then a wedge into the green. My view is that long par 5s should make you think about your layup, and this was just rote golf. Hole 16 also bugged me: it was a 400-some yard par 4, except there were two separate fairways divided by maybe 10 yards of rough. The best tee shots ended up in the rough, and the rough when we played wasn’t penal enough to make you think about whether you should just bomb it off the tee. I didn’t understand why the rough was there. However, these are really only minor quibbles, and no golf course is perfect. There were a lot of great golf holes. The second par 5, number 4, was a short par 5 with a bunker in the middle of the fairway that was close enough to gobble up tee shots. It made you think about hitting driver, because being in that bunker meant going for the green with a long iron was going to be difficult. Miss the bunker, though, and you’re hitting a 4 iron or less into the green for your second shot. The short par 3, number 5, was also a great hole. It was sort of like the postage stamp, but with a slightly bigger green. It was about a 130 yard shot both times we played it, but with a significant drop from the tee, two bunkers guarding the front of the green, and a green sloping back to front, it made you really pay attention to club selection. A good shot yielded a birdie putt, but a bad shot could easily mean a double bogey if you ended up in the bunker with a front pin. The last two holes were two great holes as well. 17 was a driveable par 4 for the longer hitters, but with enough trouble, including an elevated green, to make you really think about hitting driver. If you missed the green short and left, you were going to have hit a very precise 30- to 50-yard pitch shot to have a shot at birdie. If you laid up off the tee, you had a wedge into a small green. The hole demanded your attention, even though it didn’t seem that daunting off the tee. 18 was a great finishing hole. You had to hit a drive over a lake to a hole that went 90 degrees left of the tee. There were bunkers in your ideal line off the tee, so you really had to think about the route you wanted to take. Playing right, away from the bunkers, meant an approach shot in to a sloping green from over 150 yards. If you played left, over the bunkers, you could have a wedge into the green, but you could also end up in the bunkers and not be able to go for the green with your second shot. The lake itself was more of a visual intimidator than actually in play for most of us. I love holes like this that make you pay attention to your line off the tee and make you make a decision on how much to chew off the hole. Overall, I thought it was a really strong course. Not perfect, but I would play it again without any hesitation. This is one of my favorite courses I’ve ever played on. There was a lot of variety in the holes, some demanding a good tee shot, some demanding a good approach shot, and some demanding both. The greens were firm and fast but fair. The closing stretch of holes 15-18 were perfect. I’m honestly not sure I would want to change anything about this course, bar a couple of small things. The only negative I have about the course is that the food service at the restaurant was slow. A lot of the holes at Mid-South had a visual effect similar to Augusta. Tree lined, elevation changes, and many options for how to play holes. The trees made it so you had to think about your shot, but you could recover from them, and they generally didn’t force a particular shot shape. Conditioning was immaculate. Honestly, this course was a treat to play. I would go out of my way to play this course again. Just want to highlight a couple of holes I really liked. Hole 4 was a medium length par 5, but it you were confident in hitting the proper tee shot, you could have a shot at getting on the green in 2 without much trouble. Hugging the right side of the hole, you could have a second shot of somewhere in between 225-200 yards with a 260-yard tee shot. However, you could find yourself under a tree or in the woods if the shot faded too much. If you played towards the left, you would not be able to reach the green in 2. I really liked the risk-reward off the tee here, and the reward was substantial. Hole 9 was a long par 5, but it was a good example of a long par 5. An ideal tee shot could give you a shot at the green in 2, but it required you to carry a second shot over 200 yards to avoid water and hit a green that left little margin for error. If you layed up, you still had to pay attention. There were bunkers on the left side of the fairway that you needed to avoid, but erring towards the right meant your approach shot was longer. This was a good contrast to the long par 5 first hole at Talamore – it wasn’t just mash a 3 wood as far up the fairway as possible with your second shot. But the closing stretch of holes stole the show. 15 was a par 5 that was getable in two. The green was at the bottom of a hill, and if you played the correct approach shot, you could run a ball down the hill onto the green, although that brought a massive green side bunker into play. That approach shot was safe enough that you could try it from almost anywhere you went with your tee shot and the only downside was being that green side bunker in 2. If you hit a really good tee shot, you had to navigate two trees that guarded the easiest approach into the green. I’m probably a little biased because I played this hole in -3 in the 2 days I played it with my own ball, but it was a really good hole. A perfect par 5 in advance of a tough closing stretch. A birdie or eagle was in play here, which you really needed for the white-knuckle finish. 16 was a medium length par 4. Both the tee shot and approach shot needed your full attention. The fairway was a peninsula, with water short, long, and right of the fairway. It looked like an intimidating shot, but the fairway was wide enough that it wasn’t as difficult as it looked. Then, the green had water short and left of it, meaning you had to really make sure you had enough club and that you erred towards the right side of the green. Played correctly, this hole is driver-wedge, and gettable. 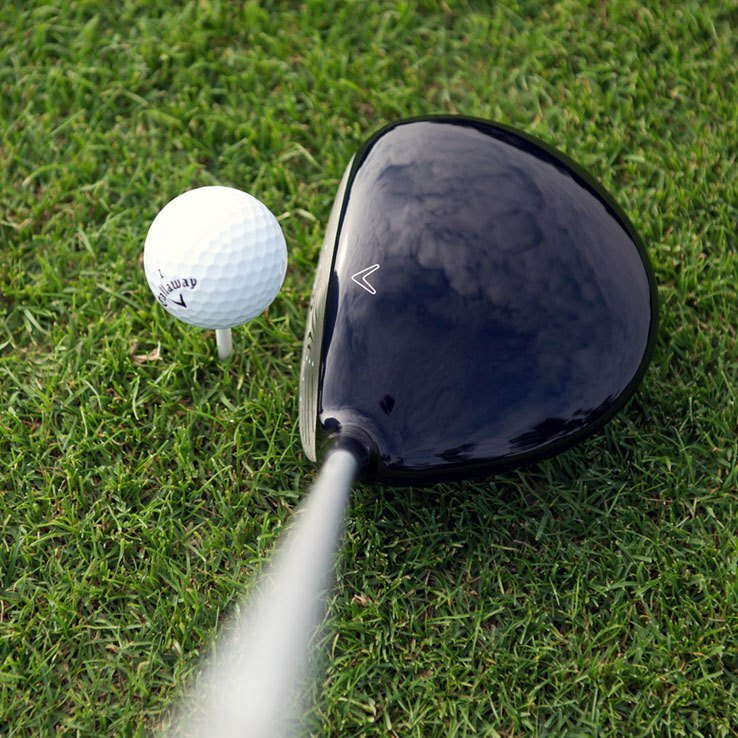 Make a mistake off the tee, though, or a leave a long approach shot, and you’re left hitting a mid-iron into green with little margin for error or trying to muscle a wedge out of the rough. 17 was toughest hole on the course for my money. It was a par 3 that played anywhere from 180 to 200 yards, depending on the pin placement. It was a tough, undulating green, that did not hold approach shots all that well. Short and right of the hole, there was hazard where you weren’t finding your ball. There was a bunker short of the green as well. Par is a great score on this hole. You needed to err left if you didn’t want to attack the green, and then you would have a tough pitch shot on a sloping green. This was the only hole that slightly bothered me, because I think the green was a little difficult to hold with a long iron approach. Maybe it will soften over time (the greens were just replaced when we played the course), but it was a monster par 3 when we played. But it offered enough of a bail out that I thought it was fair enough. 18 was a great hole. It was a cape-style hole: water all up the right side of the hole off the tee and then your approach was almost entirely over water. It was a hole where you could play 3 wood off the tee to be the safest and have a mid or short iron into the green. Or, if you were you feeling your oats, you could hit a driver, bring more water (and trees on the left) into play, but have a wedge into the green. Then, the green was sloped enough that getting the ball close was tough. A mistake on this hole meant a double bogey, but you could be rewarded with a decent look at birdie with two great shots. It required your full attention, and with the clubhouse behind the green, it was a spectacular closing hole. Wow. Your review is impressive. Thanks for taking the time to give us a "view" of the courses. Like the Red team, the Blue Team was in a 3-bedroom, 3-bathroom villa at the Talamore resort. Although the furnishings were a little dated, the Villa was perfect for an event such as ours or a getaway for a golf trip. We didn’t use the kitchen either, except to make coffee in the morning (thank you @DaveP043). The Pig Picking BBQ was on the menu for Thursday and we went out to dinner the other two days. And with as much golf as we played, I’m not sure anyone would’ve had the energy to cook for the group anyway. Like the Red team, the fridge was mainly used for beer and other beverages. The dining room and dining room table, were only used when we were game planning for the next day’s matches. The living room was definitely great for relaxing after two long rounds of golf. The Villa comfortably slept 6 people and the beds were actually not that bad to sleep on, as my back didn’t hurt in the morning. Breakfast was included each day at the Talamore bar area and was a decent enough continental breakfast on Thursday and then with added hot dishes on Friday and Saturday, made it easy to get going in the morning before our first round of golf. The waffle maker seemed to be a big hit with most. 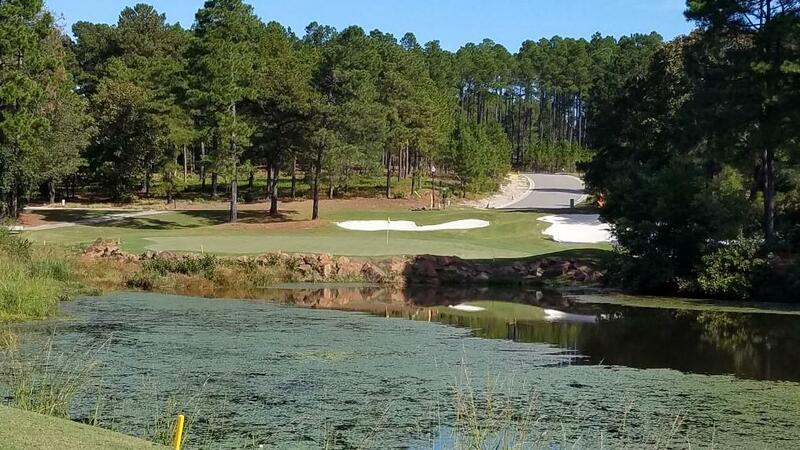 If a group wanted to do a week long trip, the location was close enough to Pinehurst and Southern Pines with lots of golf courses nearby (Mid Pines, Pine Needles, Pinehurst No. 9 and others) that you would always have plenty of courses to play and a wide variety of different venues. Everywhere we went was a relatively easy drive to and from the Villa. Like @DeadMan, I would definitely come back to the resort and stay again. Having been to Pinehurst several times, this was the first time I played Talamore. So I didn’t get to see the course before the redesign, but I really liked this course as we played it. Like lots of courses in the Pinehurst area, the course meanders through the sandhills and among the tall pine trees. The conditions of the course were good. The fairways were very wide and the trees didn’t really get in my way very often. However, even when you were in the trees (right @phillyk), you typically could advance the ball towards the green. I didn’t have as much issue with the course as @DeadMan did with the shape of shots required off the tee. The fairways for the most part were so wide, that it didn’t really affect me very much. For me, the golf course at Talamore is just a notch down from Mid-South and some of the other Pinehurst courses. Because the fairways are so generous and with the removal of many of the sand traps, the course is extremely playable for all handicap levels. If I have a complaint about the Talamore experience, was that the lunch options were limited. Several items were either not available or sold out and the hot dogs just didn’t cut it, at least for me. The draft beer selection was good though. 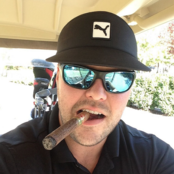 Overall Talamore is a solid golf resort with a very good golf course and I would play it again if the opportunity was there and would recommend it to anyone looking to come to Pinehurst area to play golf. This is an awesome golf course. The layout is fantastic, the conditions were top notch and it’s just a really good test of golf and just a really fun course to play. This course can be played in many different ways, which is great. I love courses that make you think a little on what shot you want to play. I would enjoy playing this course every day. One of the things I like about Mid-South is that I remember every hole I played. Each hole was just really good and memorable. Some better than others, but just not a bad hole on the course in my opinion. Some that stood out to me was the Par 4 No. 2, that @phillyk hit over the houses to try and drive the green (But missed clearing the water by a foot). But you had options to play as far away from the pond as you wanted, but had varying parts of the course in your path should you not hit a good drive (to the tree, just at the corner of the pond, to the bunkers in the distance, to the trees on the right). The Par 4 No. 5 which always seemed more daunting than it should be, due to a really good bunker placement, to trees which hugged the right side and the distance to water. But in ended up being relatively easy hole if you hit the fairway, which was really generous, although you couldn’t see it from the tee. The par 3 - 6th hole was one of my favorites, so many options depending on what tee you played from, where the wind was coming from, etc. Just a cool hole over the water. 6 iron one day and 9-iron the next, receptive and large green but had to be careful to not be above the hole, as it was generally pretty quick. Although I enjoyed the front 9, the back 9 is awesome. Holes 10 (used to be a Par 5) and 11 are really good holes, but the stretch from 12-18 is incredible. Starting with 12, you play 3 - over 400 yard par 4’s in a row, all need good drives and approaches to have a chance to make par. 14 was a bear if you didn’t get it in the fairway, with the huge bunker that ran from about 125 yards up to just short of the green. And then when you got on the green, there were really no easy two putts unless you were close. You got a little bit of a break on 15, as a good drive would give you the option to go for the green (or at least give yourself a chance for a routine par), but after the last three holes, you need a little break. But then 16, 17 & 18 are really 3 great finishing holes. 16 is a great Par 4, only plays 370 yards, but requires a good tee shot, not only to find the fairway but to not block it into the water as I did off the tee the last day or that @Golfingdad hit it through the fairway into the water. And then the second shot was over the water to a narrow green that was really pretty tricky. 17 was a devilish Par 3, around 200 yards up hill to a green that was not kind to anyone putting. I can still see @Pretzel jaw drop when his putt made it to about 2 feet from the hole, do a right turn and barely stopped inside the shot I hit from off the green which was about 30 feet below the pin. On the last day, it was much easier, as @bkuehn1952 and I made a par for the challenge ball. And then to finish off with 18, just an awesome last hole, about 400 yards, water the entire way down the right-side of the fairway, bunkers on the right side as well (like it needed to be harder) and then bailing out left wasn't any picnic as it requires you to hit even more club over the water. Whatever you do, hit an additional club to hit it on dry land as a bogey is not the worst thing that can happen on that hole when you are short. I think @DaveP043 hit 4-iron from 160 to make sure we were on dry ground in our foursome event. The food was good, but the wait by some was very problematic. Guess they weren't ready for our large group. We got our food in time, as we ordered first, but the waitress was also not the most pleasant person in the world. Draft beer was good as well. Really like the Man of Law IPA. Only thing we missed doing was playing the 19th hole, the par 3 to the practice green. That would've been fun to do. I would highly recommend this course to anyone to come and play if they are in the Pinehurst area. Great, great golf course. I'll go over each course separately. I had my own photos of the course, but I lost them (still not sure how). So, I'll just use the yardage book, like deadman, and explain a few holes that stood out to me. I don't get the point of all those little sections after the dogleg. There weren't significant mounds or anything. Just trying to shape it for who knows what reason. Also, this hole represents another weird layout point that only applies to longer hitters. The first day we played this hole I aimed at, what I thought was past the bunker (going over the trees), but it turned out to be in the bunker, near the 213 yardage marker. At that time, I was aiming what looked like 15yds left of the corner tree, and drew it nicely from that point. The next day, I aimed like 30yds left of the corner tree, and drew it, thinking that it better be perfect. It was in the middle. I can get past having to aim that way though. 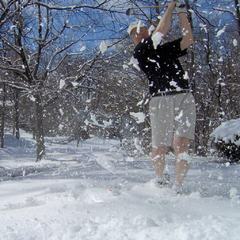 As @jsgolfer was kind enough to point out, I was having some trouble with my tee shots in the alternate shot format. But, also like he pointed out, the fairways are so wide that you could miss and still be in the FW or be in the trees but have a good enough opening to advance the ball. Here on No 7, I had one of my misses, but in the four-ball. I hit a nasty hook and I cleared the trees on the corner by a foot, it looked like. I somehow caught that smaller fairway just past the corner and rolled to 50yds away from the green. I wish I had a picture of this, because this pic doesn't do it justice. I don't have problems with doglegs, it was just the way they cut the FW and rough. It's not that having it cut this way hurt my game, it's more of a shaking of the head and asking why they cut it this way. Food and beverage here was average. The hot dog and polish was average, the sandwiches were average, but the plus side was the beer selection. I do enjoy my IPA's. They can't handle large groups though for lunch. It didn't seem like they had a permanent cook. The servers did both which took some time for food, but it was reasonable enough. Conclusion: I like the course for the most part. The conditions were great, the greens rolled at a reasonable pace and were very smooth. The bunkers were ok, nothing spectacular. The layout was funky, but I would still go back and play this course. I don't see it being quite the price it is labeled as, but one can get over it quickly enough. What a course! Definitely one of the best courses I have played! If only they had a restaurant that was near par. They have a large practice green with multiple layers, it connects to the chipping/pitching area, and it also acts as a 19th hole (yes an actual par 3 over water) to settle ties. The range is stocked with ProV1's and NXT Tour's for practice/warm-up. And there is an additional putting green near the first tee. The local rules here state that the homes surrounding the course are to be treated as free relief instead of OB, so long as there is a white stake and you must find your ball to take this relief. I have never seen this rule before, but I have no complaints. I don't remember needing to take the relief but I think over half the guys at the NC took relief at some point. I loved these greens. It wasn't much different from Talamore in speed or condition, but these greens just fit my eye more and I was sinking a few putts. As @jsgolfer pointed out in his post, I went for this green (#2) in four-ball. But I made sure @Golfingdad was in play first. This google image is not updated because all those plots have condo's/homes on them now. 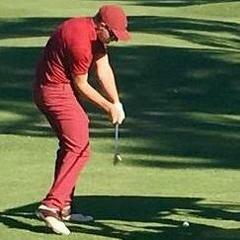 But it gives a better picture than the yardage book for what your carrying over. I hit my drive low on the face, but I thought it would be enough to carry. I plugged into the bank in the hazard, so about a foot short from being good. I could play it but I didn't advance the ball far. This was a fun hole. I didn't go for it in individual match play, but I cut off enough and got my birdie! I could show pictures of every hole and say what I liked, but that's too much, and @DeadMan did well in the pictures category. Suffice to say, though, if you are ever in this area, make it a point to play this course! BUT, make sure you eat before hand and if you want to order food at the turn, order an hour early. The food is not spectacular, and it took a LONG time to make. Luckily, they had good beer and a good view of the course to pass the time during our lunch break. Conclusion: When coming out to play in the NC, I was worried about how the courses would play in relation to the grass type. I thought the grain may have an effect, but if it did, I couldn't tell at all. This was the course we played first and last, and it was a blast! Perhaps it was because I scored better there than at Talamore, but just about everything this course had to offer was top notch. The villa was good. Having 3 bathrooms, 3 bedrooms, and 6 queen beds certainly helped. The kitchen was nice, except they had a coffee machine with no actual coffee (usually places have at least that I think). The dining room table was nice, but it mainly was there to house our merchandise and golf clubs. Couch was comfortable, beds were comfortable, and there was plenty of room to store stuff if you needed to. The villas were cleaned daily, which was very nice. But like deadman said, there were scratches on the walls, and the place just had an aged look to it. Certainly, having something right next to the course was awesome, and there pig roast were even better! They have it in their pavilion area in the middle of this housing place. There were TV's so Deadman could watch his team play football. There was a central fireplace and plenty of sitting room. We had a nice drink session out there after the final round. The complimentary breakfast was nice, nothing too special, but it sufficed to fill us up for the rounds ahead. make sure you eat before hand and if you want to order food at the turn, order an hour early. No, remember, if you want to order food at the turn, order it from the halfway house, not inside the main building. They have a smaller selection, but the food is basically already prepared and waiting for you. It takes 1-5 minutes at the halfway house. Good point, I forgot about the halfway house and forgot to mention the golf club van guys. I don't remember the name of the company, but that is a cool addition to have. First, a disclaimer. I own one of the villas at Talamore. I've been coming here for about 10 years, probably about twice a year. I'll do my best to provide an impartial review of things, but I'll also be adding some information about recent changes and improvements that most of the other guys may not be aware of. Lodging – The Villas at Talamore are individually owned, but are managed and maintained by the Talamore Resort. The oldest units are over 20 years old, and the newest are closer to 15 years old. The Blue (winning!) team was in 2111, a ground floow 3-bedroom unit. This is the first time I've ever been inside one of the 3-bedroom units, and I was impressed. Each of the 3 bedrooms had two beds, windows to the outside, and its own dedicated bathroom. The fully equipped kitchen would be nice, if we had had time to use it, but it was primarily for storage of drinks, and morning coffee (thanks to @jsgolfer for making it each morning). The unit had a nice dining area, appropriate for 6 people, a living room, and a smaller table which could have been useful for cards. Compared to staying in a hotel for a golf trip, I really like staying in a condo or apartment style lodging like this. This is one of the older buildings, and you could see a bit of wear, but the bed's comforters, pillows, and pillow-top mattress pad are all new this summer. A really nice amenity here is the pavilion. There's covered seating for something like 100 people, a central divider with gas fireplaces and big-screen televisions, and gas grills. This is a great area to get a bigger crowd together, and we took advantage of it Saturday night after the competition was decided and we were all friends again. This is also where the complimentary Thursday night pig-pickin was served, with pork barbecue, beans, slaw, and potato salad. As others have mentioned, we also had a continental breakfast on Thursday at the Talamore clubhouse, with additional hot buffet breakfast items for Friday to Sunday mornings. The breakfast isn't exceptional, but its sure nice to have something readily available before a long day of competition. Talamore Golf Course Talamore was opened in 1992, so its about 25 years old. In 2016, the management changed the course substantially, removing over 60 bunkers, adding a small number of deep sod-faced bunkers, improving drainage in a number of the fairways, and completely replacing the greens with Champion Bermuda. The front nine runs among housing, although for the most part its far enough away that it rarely comes into play. This is a good solid golf course, with a reasonable variety of hole lengths, doglegs both left and right, and both uphill and downhill shots to the greens. As a couple of others have noted, there were patches of rough in or crossing what could (should?) have been fairway, a design feature than I'm not crazy about. Additionally, a couple of the doglegs forced the longer players to either club down, or hit the ball over or around trees with a driver. For me, that's not an issue. Condition of the course was pretty good. As is common in this area, they had overseeded with rye recently to keep the fairways green through the winter, so they were watering a little more than usual. A few of the tees were a little shaggy with young rye. On the other hand, the greens were really true, and pretty fast. They were also pretty firm, it took a few holes to figure out that flying the ball all the way to the hole was not a smart idea. Overall, a good solid course in good to excellent shape. MidSouth Golf Club MidSouth is an Arnold Palmer design, also opened in 1992, and underwent a significant renovation over the summer of 2017. Primarily, the greens were replaced with Champion Bermuda, but a few bunkers were renovated or removed. MidSouth also meanders through housing, a fact of life for most modern golf courses. This is in my top 5 or 6 courses in the Pinehurst area, a good diversity of hole shapes, uphills and downhills, and interesting green complexes. I think this course is better visually than Talamore, especially the 9th and 18th holes coming over water towards a huge double green in front of the clubhouse. Conditions were very similar to Talamore, a little soft in the fairways, but really good putting surfaces. I was really impressed with the greens, especially considering they had only been open for about a month. The greens here were a little more receptive than those at Talamore. To me, its really a good match play course. As others have said, the back 9 is really strong, and the last 4 holes offer lots of chances for drama. 17 is one of the toughest par-3 holes I've ever played, and 18 will test a player's nerves on both the drive and the second. A couple of guys have mentioned the lunch service at the MidSouth clubhouse, and they were absolutely correct. I was one of the first to order, and got my food, but a few were still waiting when it was time to start our second round on Friday.Prior to this summer, food service at MidSouth was the same as at Talamore, just a few sandwiches, so the menu we saw represents a significant expansion. The bar area at MidSouth was also installed this summer, while the course was shut down, and has only been in operation for a few weeks. In fact, I got an email last Friday that announced the “Grand Opening” to the MidSouth membership. Service here definitely needs improvement, I'm hopeful that our difficulties were simply growing pains. 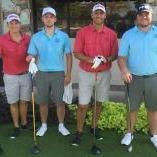 I really enjoyed the Talamore & Mid-South golf course and lodging. First, the lodging was great. 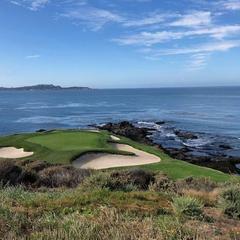 It didn’t have a Pebble Beach view and the food wasn’t knock out of the park but it was perfect for a great golf trip. Nobody on the trip was a big-time golf snob, so no complaints (other than the eggs at breakfast). The rental unit had 3 bedrooms with 2 beds each, and a living room with a couch. We had 3 bathrooms so never had to wait to do our morning routine. Breakfast was provided to us each day. Kind of your standard Residence Inn hot breakfast. We ate lunch at both resorts and while the food was better at Mid-South, it took over an hour for some guys to get lunch. Make sure you stop by the halfway house instead. Talamore Golf Course – Interesting layout. Cool options where you could play the same par 3 from a completely different tee once day to the next. I think having played the course twice now I would enjoy it more than I did. You have to know where to hit the ball and can cut off a lot of the doglegs, but again, have to know where to hit it. The greens were still newer and while in pretty good shape they were a bit firmer than I was ready for. Should’ve expected it, but going from firm to soft from morning to afternoon can mess with any player. Mid-South was my favorite of the two. More of a straight forward “Pinehurst area” kind of course. Lots of pine needles, soft bunkers, and great conditions. The greens were pretty quick, but you could really score if you kept the ball in the short grass. With that said, you could still find your way around the course even in the trees every so often. It made me use every club in my bag off the tee with some long par 4’s and some short. I could play Mid-South everyday as a member if I lived in the area. The issue with the lunch speed of delivery would really be the biggest blemish on the whole facility. Prior to the 2017 Newport Cup if someone had said lets go to Pinehurst North Carolina I would have only one thought on what to do. Google Pinehurst and look only for their hotel. Boy would that have been a complete miscalculation. 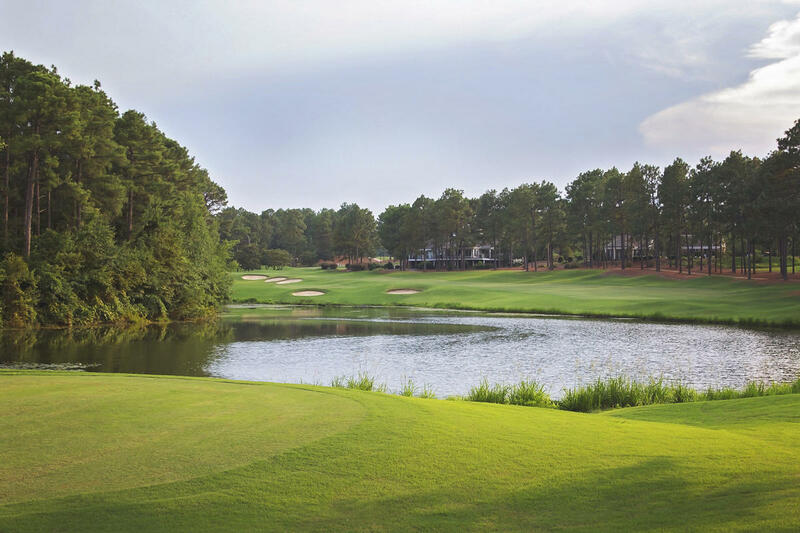 Talamore and Mid South both are outstanding options when someone is looking for options to stay and play in Pinehurst. Let me start with the lodging. Our red team was put in what I would describe as the perfect three bedroom condo for the six of us. The best feature...it had three full bathrooms. I think everyone was surprised by this fact. It would have been nothing to have only two, but with six guys drinking beer and eating good meals, three was a bonus beyond compare. I don't think there were many times I was waiting for a bathroom. The bedroom had two twin beds with a small TV for us to watch the World Series as @Golfingdad and I fell asleep. We had a closet, but even with the two beds in the room there was still plenty of room in the bedroom, for us not to feel cramped. In fact that bedroom was larger than many a hotel I have stayed at in Japan, just that room alone. The main living room had ample seating for all of us, with a big 3 person couch and two smaller chairs. Next to the living room was a small dinette area for a quick bite. Just behind the living room was a full good size and fully stocked (with utensils) kitchen where had we wanted to cook we would have been very easy to do. Just about anything you needed for cooking was in there. Also in there was a big full dining room. The accommodations were top notch. If I were going to make some improvements I would have done away with the full fancy dining set and put in a foosball table. The dining room served mostly as a place to store our travel golf bags. Had we wanted to eat the dinette in the living room was plenty big for all of us to eat at. I guess you could also swap out the dinette and put the foosball table there, but you catch my drift, less dining more activities for us to participate in as a group. Lastly, let me touch on the food. Breakfast each morning was served in the dining area located next to the Talamore Pro Shop. Breakfast was serviceable with mostly importantly a hot cup of coffee. The eggs weren't the best, but they had a waffle machine to make yourself a decent waffle in the morning. If breakfast is your favorite meal this won't blow you over, but it was good enough for me, and I like a good breakfast to start the day. The coup de gras of the dining was the Pigskin Thursday night. Wow, a bar-b-que cookout where everyone staying at the villas could come down and get a mountain of pulled pork and fixings. I was in heaven because I love myself some pulled pork. They had bar-b-que sauces, potato salad, regular salad, and macaroni salad. Really a nice touch. The only thing missing was beer, as luck would have it @DaveP043 brought over some beer and was kind enough to share (thank you sir) and it was a perfect finish to our Thursday matches. I would be surprised if anyone didn't enjoy that. Alright, enough about the villas, lets get to the golf. I want to start with Mid South, because quite frankly it is an outstanding facility. You get there and the first thing you get are Titleist Pro V1 range balls, lovely. The range is within walking distance, everything is within 25 yards of where you parked your car. The course itself is wonderful and the job they did replacing their greens is truly second to none. Those greens are just about the best I have played on. They were occasionally hard and didn't accept my five irons very well, but the condition was downright unbelievable. Late, and I mean late into the afternoon they were just as smooth as first thing in the morning. The course itself is challenging but fair. If I have to pick a favorite hole it is probably the par 3 sixth. A medium length par 3 with water in front of it. As @DeadMan and I found out on day 1 best not to be short. The last two holes are really great finishing holes. A very long tough par 3, followed by a mid-length par 4 with water down the right side. I played 18 with mixed results. One day making a birdie to win the match and the last day shanking one in the water to lose the hole to the ever solid @DaveP043. Talamore is also an excellent course. It meanders its way through the pine trees and offers a very enjoyable round with a number of challenging holes. Like Mid South the 18th hole is another difficult challenge with water down the left and at Talamore you need to carry a good part of it to get to the fairway. If I was to pick a favorite hole I would go with the par 3 5th. It has a unique feature of 2 tees which make the hole play very differently on each day if the course choses to do so. We only played it from the right side tees, but from there it was a great hole. 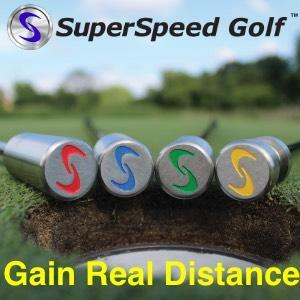 Downhill but the distance must be managed carefully because too short you risk ending up in the front bunkers and too long and you'll have a fast downhill putt. All in all both course are more than certainly worth playing if you are headed out that way. If I was forced to chose to play only one, I would pick Mid South but both are lovely. The lodging was fantastic and really wonderful for a group like ours. I would more than happily recommend you take a look at Talamore Villas for your trip to Pinehurst. I've done numerous golf trips before in the Carolinas. I was more than happy with what the overall experience was at Talamore. The three-bedroom condo we stayed in was plenty spacious for the six (winning) team members we had. In the evenings we all were able to hang in the living room area to relax, talk and watch TV. The bedrooms also had plenty of space for everyone's luggage and each one had its own, separate bathroom as well which is good for the morning when people are getting cleaned up and ready to head out. The pavilion area was a really nice touch and a pretty cool area to hang out and watch some TV. The free BBQ dinner and drinks was quite awesome and unexpected. I can safely say that @coachjimsc probably ate a small pig by himself...and if he didn't, I finished whatever was left of it off. I could have used a cold, frosty adult beverage with the BBQ but I can't complain for the price of free. In the morning, we enjoyed the breakfast at the Talamore clubhouse with what room we had left. It was a nice bonus that we didn't have to 1) worry about getting breakfast and 2) have to get up and leave early to find somewhere to eat. If I had only one nitpick was that there was a little wear and tear. I don't expect perfect or the highest quality but this was maybe a little below what I was hoping for. No biggie. The location of the villas and Talamore in general is really great. Convenient to the other courses and a short drive into town or restaurants. 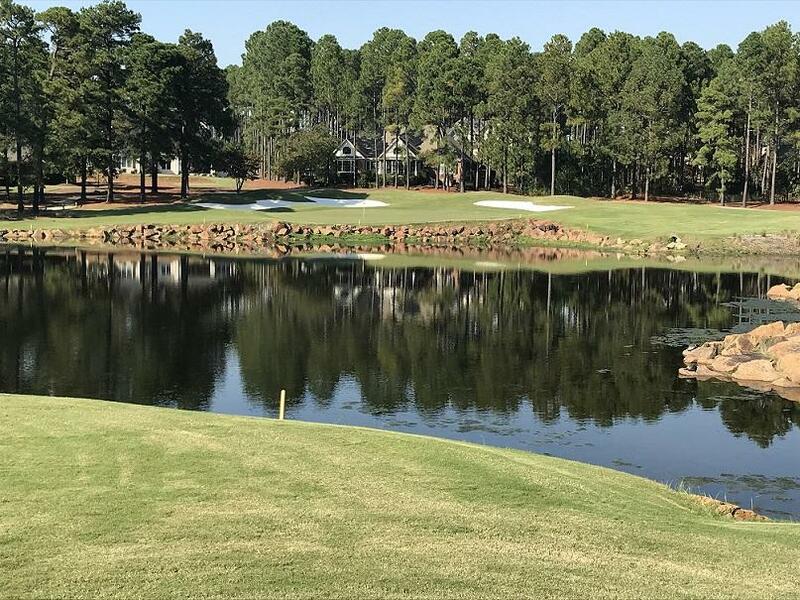 There might have been a little bit of a drive to get to some grocery stores, but when it comes to golf location in Pinehurst, it's a great spot. I'd have to echo what has been said here before. There are some really nice holes on Talamore...and some that leave me scratching my head. @phillyk kinda summed it up nicely. I'm not a big fan of holes where you have "dead space" where you could just flatten things out a bit and connect things a bit more. There are multiple holes where the fairway just stops, there is rough, and the fairway starts back up again. Sure there is a drop-off or some uneven spaces, but those can be remedied very easy. I'll stop there because I don't want it to seem like it's a major problem...its not. Just something that you should be aware of. The conditions of Talamore were great. I think the new greens are going to be really, really nice when they finally mature and get to an ideal state. They were very firm, which is expected for these types of bermuda greens and how new they are. They putted very nice though and I can't say that I had any bad lies around the greens or anywhere else. Overall, I think there was good value and I'd go back in a heartbeat. Of the two, I really liked Mid South a lot better. There wasn't many holes that I didn't like and the conditions seemed just a little better all around. There weren't any holes that were disjointed or unnatural. I felt like I was at a resort at Mid Pines where at Talamore it wasn't quite as nice. There was a great mix of holes that forced players to play fades and draws. Nothing that caused someone who could only do one of the two any problems. There was also some really nice holes that brought water into play including the final holes on each side. Great visual holes that finish at the clubhouse with challenging greens...really a nice way to finish. The course conditions were great. The greens were even better than Talamore (both were great) even though they had just opened up a month or so prior. I expected the greens to be very firm and a little rough. Surprisingly, they were plenty soft and putted wonderfully. The bunkers were a bit soft but I had no problems with them the few times I had to hit out. Of the two, I'd definitely go back to Mid South first. Even so, I still want to go back to Talamore again to play it after the course has had some time to mature a bit. I think that both of these tracks will be in great shape in a couple years and be a stop on a future golf trip. FOOD WARNING: as others have mentioned, please use the half-way house at Mid South instead of the main dining area. Service was S-L-O-W. We had plenty of time between rounds to grab a sandwich but it took way longer than anyone would expect. As the others have mentioned, the condo (at least the one that the red team stayed in) had a few noticeable signs of wear. The one one that really stuck out to me (pun intended) was the chair that felt like it might have had a spring come loose that could poke you if you sat wrong, but those sorts of things are normal wear and tear items that will obviously vary from condo to condo. Don't get me wrong, I enjoyed my stay there and would choose to be in the condos again in a heartbeat if I were to plan a trip in the area, it was just clear that they were older construction is all. Talamore Golf Course was the course immediately nearby the condos, about a three minute walk or a 30 second car ride from the front steps. It's also where we ate breakfast each morning, which was the standard continental affair you would find at most moderately priced hotels (better than a Super 8 Motel, not fancy like you might find at a Marriott). I had the biscuits and gravy each morning which I found to be buttered to just the right level of heart attack (I like butter, those who don't might want to avoid these), and the bacon, fruits, and juice were all fine as well. The day where we ate lunch there it was the standard hot dog you might get at any old golf course, so the restaurant isn't anything fancy here. I was slightly disappointed (likely by comparison to Mid-South) that the range balls were the standard issue rocks you find at most courses, but the range itself had a variety of targets to aim for and was well maintained. The course itself felt pretty familiar to a number of parkland style golf courses that can be found in Colorado, with the main difference being the type of tree that lined the fairways. I'd say the layout itself is a bit above average, but not something with a lot of strategic depth. It was mostly a matter of hitting it between the trees, then hitting it near/on the green, then putting, chipping, or hitting bunker shots until you're in the hole. For the longer hitters the course can be slightly more interesting at first, in that you can take some nice shortcuts over the pines to cut large chunks off of holes, but once you know the lines off the tee your strategy won't change much from round to round. Misses were penalized more heavily at Talamore Golf Course, with the pine trees being thicker together and the recovery shots much more difficult as a result. There still was a little wiggle room if you missed the area between the trees, but not much. This course is one that I can honestly say is probably my favorite of the ones I've played, with a great layout, a spacious practice area, and a really good plot of land that it was built on. The range itself put Talamore's to shame, being nearly twice as wide and providing you with ProV1's to hit out to the targets spread around the range. My only complaint with the practice areas is that there was a pretty steep drop off from the tee area, which made it difficult to practice half wedge shots, but the rest of it was very nice. The course itself was a blast to play, and it offered multiple options on how to play a number of holes such that your strategy will likely change depending on the conditions of the day (and how confident you are that day). Hole #2, as @phillyk mentioned, is a great risk-reward hole for the longer hitters. You can risk a ball that ends up in either the water or someone's living room to attempt to go for the green, or you can play it safe down the left hand side to leave yourself with an approach shot of around 150 yards. Hole 5 required a tee shot down the right side of the hole to prevent you from being blocked from aiming at the water-guarded green, while 7 required a tee shot down the left hand side to avoid the water placed there. Hole 9 was a fun par 5, a big dogleg right that goes down a very large hill and over a lake to reach the green. I went for it all 3 rounds, but didn't end up hitting the green on any of them (2 of them got lucky and stayed dry though - one deflected backwards off a tree and the other landed in the creek just right of the green before bouncing back out). It's a very enticing shot nonetheless. On the back nine there were also a number of fun holes. Hole #12, while long and straightforward, was my favorite hole simply because it looks like it was pulled straight out of Augusta National with a slight dogleg to the left and the truly towering pines lining the fairway. The pines here at Mid-South were spaced further apart, but taller (no cutting over these trees for the most part), and left you with the opportunity to make some really great recovery shots if you could hit your line out of the trees since there weren't any low branches. I like this format, where misses are penalized but still leave the opportunity to allow for a great recovery if you hit a precise shot. Hole 15 was another par 5 that made going for it enticing, with a large slope cliff just short of the green that will feed shots that end up short down to either the front of the green or the bunker beside it. The 16th required strategic tee shot planning, letting you either risk going long into the water with the payoff of a wedge approach, or playing it shorter and safer with a mid iron into the green. The 17th was the hardest hole on the golf course, and where a number of challenge balls were played (for good reason!). A long par 3 with a devilishly tricky green, I had a putt that stopped no more than two feet short of the hole before turning around and rolling all the way back to the front of the green again. The 18th provided a great and dramatic finishing hole, with water in play both off the tee and on the approach shot. The lake borders the 18th fairway along the right-hand side before cutting between the fairway and the green at about the distance that most long hitters will land their golf ball, narrowing the fairway considerably in the process. The green itself is massive, and actually is the same green as for the 9th hole (they share one large green complex), but it holds many undulations that mean you're not necessarily in the clear just because you avoided the water. The only real knock I have against the Mid-South Course would be their restaurant in the clubhouse. They make it clear that you should pick up any food at the turn from the snack shack, and the reason is because the kitchen in the clubhouse is very slow. We all arrived and ordered our lunches about an hour to an hour and a half before our tee times one day, and at least 1 table (and maybe 2) didn't receive their food before they needed to tee off. The food itself was good, but it will be very slow if there are more than just a few people in the restaurant at one time. The villas we stayed at were conveniently located within walking distance to the clubhouse and restaurant. We stayed in a 3 bedroom, 3 bath unit. The rooms were pretty spacious for 6 people. Our bedroom had plenty of floor space to keep all of our goodies spread around. The closets had enough room for two people to store their stuff together even though there were two separate closets. Right @NCGolfer? I found the beds themselves to be pretty comfortable for rental units. Much more than the ones we stay at in Myrtle Beach. Nice large flat screen TV’s in the living room and the bedrooms. A nice large table in the living room along with 3 person couch and 2 comfy chairs. There was also a dining room that was used mostly for bag storage The kitchen was spacious and well equipped even though we didn’t really use it other than the fridge. The continental breakfast on Thursday was adequate. The buffet breakfast on the weekend had plenty of options and the food was hot and good. Enough to fuel us up for the morning rounds ahead. The Pig Pickin was held at the Pavilion on Thursday evening and was an added bonus. With plenty and I mean plenty of food and drinks to fill you up after a long day. The Pavilion itself was very nice. It was a great place to hang out after our rounds and lie about your golf game. It had a fireplace that separated the two areas and two flat screen TV’s and enough seating as well. The resort area is centrally located so we didn’t have to drive more than 15 mins to go anywhere for dinner, food shopping or ice cream. A very nice change from the congestion we find at the beach. The only negative experienced I had was the last night someone had moved in the unit above us and we heard every single step they made, the floor was creaking and cracking. We played two rounds at Talamore. A best ball on Thursday and an alternate shot format on Friday. The course was in very good shape. The greens were firm and fast. The green complexes themselves were quite large. I ended up with some really long putts. The slope on the greens were also tricky. Some very large slopes but also many little subtle slopes that were hard to feel. Only complaint on condition is the bunkers were a bit fluffy. But they had been redone recently and just needed more time to firm up. I thought the layout of the course was very good. Fairly generous room off the tees. Well bunkered. Nice mix of reachable par 5’s and short and long par 3’s and 4’s. I liked the par 3 5th hole. It is a downhill tee shot that featured two different tee boxed that were 90 degrees apart. Very creative. The par 3 number 15 was playing between 210-215 yds both days. Very challenging but fair. The 18th hole is a great finishing hole that has a force carry over water. Risk reward hole with how much you wanted to bit off of your second shot into the green. The 16th hole would have been one of my favorite holes except for both of my partner’s tee shots ended up running through the middle of the fairway and into the rough. Not sure why the fairway would stop there and then start again 20yds farther on a longish par 4. Seemed like they could have continued to cut the fairway and connect it to the other one. Other than that, not much else to complain about course wise. We had lunch at the Talamore clubhouse restaurant/snack bar on Thursday before heading to Mid South. They had the pre made sandwiches chips and hotdogs on the menu. Was an ordinary lunch nothing stood out. We played 3 rounds at Mid South. Alternate shot on Thursday, best ball on Friday and the all-important singles matches on Saturday. This was my favorite course of the two and probably in my top 5 of courses I’ve ever played. Mid South was also in excellent shape, especially considering it had only been reopened for about a month. The greens were also firm and fast. It had nice elevation changes. Not something you find much on beach courses. Nice mix of dogleg lefts and rights. A few tight tee shots as well. #7 being a good example. Bunkers on the left and trees and water on the right. A big part of how I rate courses are how the par 3’s and par 5’s play. I like a good variety, short and long par 3’s, reachable and not reachable par 5’s. Mid South hit a home run in all of these areas. The par 3 third hole played about 175ish slightly uphill that had a very undulating green. You can hardly see any of the putting surface from the tee. Pin placement made this a difficult par from anywhere on or around the green. The par 3 sixth hole over water and rocks played anywhere from 135 to 170 yds with a severely sloping green from back to front. The finishing stretch of holes 15-18 are as good as I have experienced. The 15th hole is a reachable par 5 that is downhill from your second and third shots if you layup, which is no bargain. Bunkers down the left and one right of the green make it a tricky up and down if you end up there. The 16th hole is a 370 yd par 4 with a generous landing area off the tee. The second shot leaves you with a short iron into a sloped green from back to front with rocks and water looming in front of the green that definitely gets in your head. The 17th hole was the most difficult par 3 of them all. Playing about 175-188 yds to an elevated green that was well guarded by a bunker in the front and hazard on the right and was also severely sloped from front to back. The 18th hole is one of the better finishing holes I’ve ever played. A 400 yd downhill par 4 that has water all the way down the right side and crosses over in front of the green. There is also a fairway bunker down the right side. Depending on how well you hit your tee shot, you could have anywhere from 130 to 170 yd second shot left over water and rocks into the green. Very intimidating second shot because you will not have a flat lie going into the green. Lots of mounds and slopes on the fairway that go from left to right. What a great finishing hole, especially in match play and for the challenge ball as well. The only negative was the lunch situation that has been mentioned by others. I was unfortunately one of the guys who had to have my lunch brought out to the driving range. Seems like we caught them off guard with the size of our group. But when I did get the food (chicken wrap) it was quite good. In summary, this was the best golf event I have ever been a part of and second place is not even close. From the golf venues to the accommodations, atmosphere, quality and the area as a whole. Just outstanding. I enjoyed it so much that I have convinced my group of 28 golfers to change our location from the Legends at Myrtle Beach to the Talamore golf resort next August. They gave us a really good deal to stay 3 days and 3 nights with 3 rounds of golf for just a few dollars more than we pay at the beach. You have to understand that this is a monumental decision for us. Our annual trip to Myrtle Beach has been going on every year since 1981. I am the third organizer in that time. I took over in 2001. The original organizer still plays with us at age 79. This is a big deal for us to change venues and I believe it will be well worth it. The lodging located on the Talamore Golf was pretty nice. There was a decent amount of space for basically town home type villas and the conditions were nice. I did not really notice a ton of wear and tear but then again I have stayed in some pretty rough hunting camps over the years so I am pretty easy going with that stuff. I enjoyed the spot as well being situated in the tall pines you tend to imagine when thinking of the Pinehurst area. The Pavilion was a nice spot to hang out as others have mentioned. The pulled pork dinner they did for us was great and a lot of fun as well. I enjoyed Talamore golf course. It is a fairly simple and relatively easy course compared to Mid South. I like the overall design of the course and look. I agree with others that were some goofy things going on with fairways being cut off and rough starting in weird spots. On holes like number one though it helps some of the longer hitters from ending up down in the hazard. Greens were a bit firm but I did not have a ton of trouble holding the greens. Overall I really like what they have done with this course with the renovations and removing bunkers. I like the placement of the deep sod wall bunkers as well. It gives the player something to think about indeed. 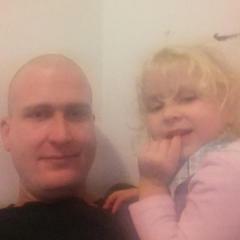 It is a great course and I think the price is reasonable for the area as well. My favorite hole at Talamore is number 18 and is shown above. This is a great finishing hole and with the fairway and water slanting left and the green on the left you have to decide how much you want to cut off. It definitely favors the long hitters as they can go between the two bunkers closest to the water. My goal was to play just to the right of the closest bunker on the right, leaving a little longer shot in. Mid South is just a very well designed golf course. I really enjoyed playing this course. The holes are challenging and enjoyable to play. The range, the range balls and practice green are all great. This course is in great shape overall and the changing the greens back to the way Palmer originally designed it seems to be a great change. I was surprised at how well they played for how fresh the change was. They played a bit softer and faster than Talamore. The bunkers are very fun to play out of on this course. I really like the sand here...I think maybe a bit too much though. This course is probably one of the better deals and places to play in the area. If I am back in the area I will be playing this course again. I won't beat a dead horse too much but, yeah, don't try to eat lunch in the clubhouse. Get something quick from the hut at the turn. Hole #6 from the back side shown above. My favorite hole at Mid South was hole #6. This is a great and challenging par three. It does not look all that tough but at 160 yards and swirling winds it is no easy shot. If you play the yardage there is a good chance you may end up in the water on a slight miss-hit. If you played a club extra you can end up in the back left bunker if the wind does not hold the ball up enough. I was able to experience all possible outcomes on this hole. I saw a lot of balls end up in the water from other players as well. I loved playing these course and this was truly an experience I will not forget. Playing these courses made the experience that much better. The Villas at Talamore: We stayed in a 3-bedroom unit. Each bedroom had two beds, windows to the outside, and three full bathrooms (one of which was “en suite” as they say in the decorating business). My previous experience in staying in a condo or private unit has been that one bedroom typically is clearly superior and the other bedrooms range from okay to pretty limited (i.e. bunk beds or a trundle bed set-up). At “The Villas” each bedroom was good-sized, had two double or queen-sized beds and decent closet space. The bathrooms were nice with good water pressure. The kitchen would have allowed the cooking of meals but we only used the refrigerator and coffee maker. There was a decent sized living room/dining room with a large screen TV and a table that sat 6. I thought the unit was nice and fit our needs perfectly. A great extra here is the pavilion. It has covered seating for 50+ people each side with a central divider. The divider has gas fireplaces, big-screen TV's and gas grills. We took advantage of the complimentary Thursday night roasted pig cookout that included barbecue beans, slaw, and potato salad. It also served as place for the teams to get together Saturday night after the competition and renew our friendships. Breakfast was included each morning at the Talamore clubhouse. The food is decent and similar to what one might get at a nice hotel that serves “free” breakfasts. Talamore Golf Course: My understanding is the course recently was changed substantially with the removal of bunkers, addition of a small number of deep sod-faced bunkers (one of which I famously drilled three inches into the sod facing), and the replacement of the greens with Champion Bermuda. Since I never played the original, I can’t make a comparison but the “new” course is very solid. The real estate that borders some holes rarely comes into play, other than for an extremely wayward shot. There are a reasonable variety in hole lengths with doglegs both left and right. The terrain is very rolling so many shots are up or downhill. Condition of the course was very good. They had over-seeded with rye recently so they were watering a little more than usual, which added to the length. The greens were fast, smooth and very firm. An approach a few feet short would stick on the soft over-seeded turf while a ball landing on the green tended to release. I enjoyed Talamore more, which is the minority opinion. MidSouth Golf Club: MidSouth also had a significant renovation earlier this year. The major change was that the greens were replaced with Champion Bermuda. The designer, Arnold Palmer, likes big risk/reward holes that often set-up heroic shots. This is especially the case with the 9th and 18th holes. Both require carries over water and have large greens in front of the clubhouse (gulp!). As with Talamore, there are varying hole lengths and doglegs on terrain that is very rolling. Conditions were very similar to Talamore with soft fairways and surprisingly excellent putting surfaces considering the short grow-in period. Short version of the review: I absolutely loved everything about golfing in North Carolina in general and this resort in Pinehurst in particular. The end. and the 10th. Having never played golf in North Carolina, I fell in love with the style and of golf and all of these courses. I can't wait to get back. Talamore was a really fun course, but this was the jewel of the pair. Conditioning-wise, because of the lush green fairways and rough, the pristine white bunkers, and the pine trees, my first thought was that this must be what Augusta National looks like up close. 18 and 9 shared a double green and provided a perfect setting for the finish. If I didn't say it already (I did :P) I really, really became a fan of North Carolina sandhills golf on this trip (I also got to play a round at Mid Pines, which was amazing) and would go back in a heartbeat if given the chance.